Celebrity Farms’ ​new hires hard at wo​rk​! We too were from the crowded, poor conditions Raggette and Groucho came from but found our home with Celebrity Farms. 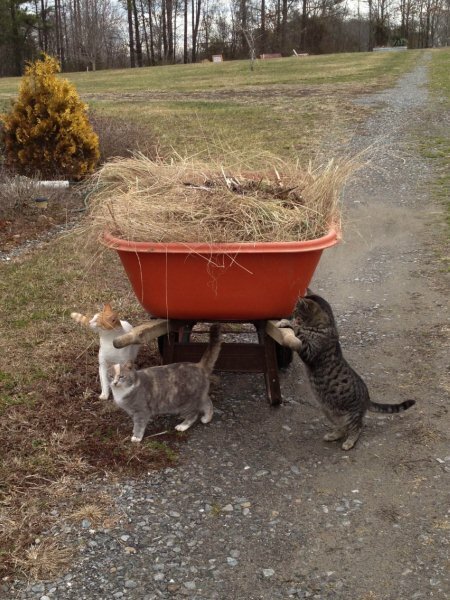 Since they were kind enough to take us in, we thought the least we could do was pitch in with the barn chores. Won’t you consider adopting our companions?